Another day and another new box to share. 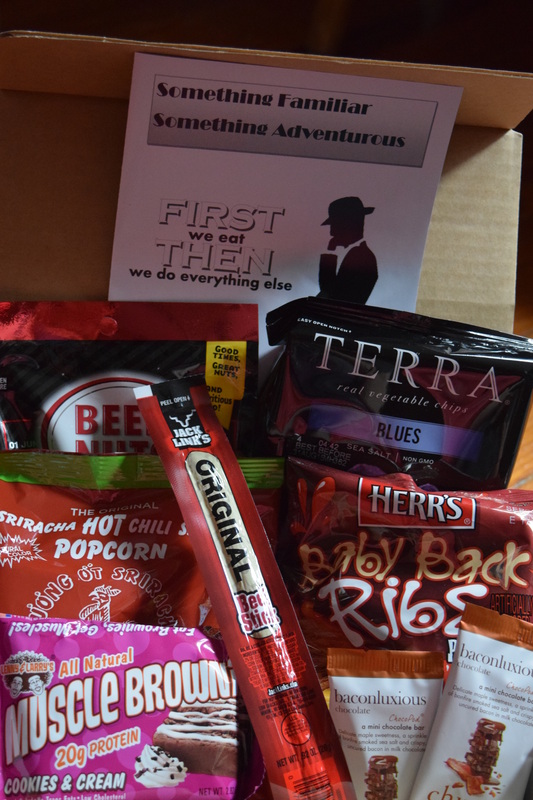 Something Snacks graciously sent me their June “Manly Themed” snack box to review for you all. The US subscription costs $10 per month plus $3.00 shipping. (To save $3 OFF subscriptions, use code TRY3NOW). Each month this snack box offers a different theme and I’m guessing June was “manly” in time for Father’s Day. 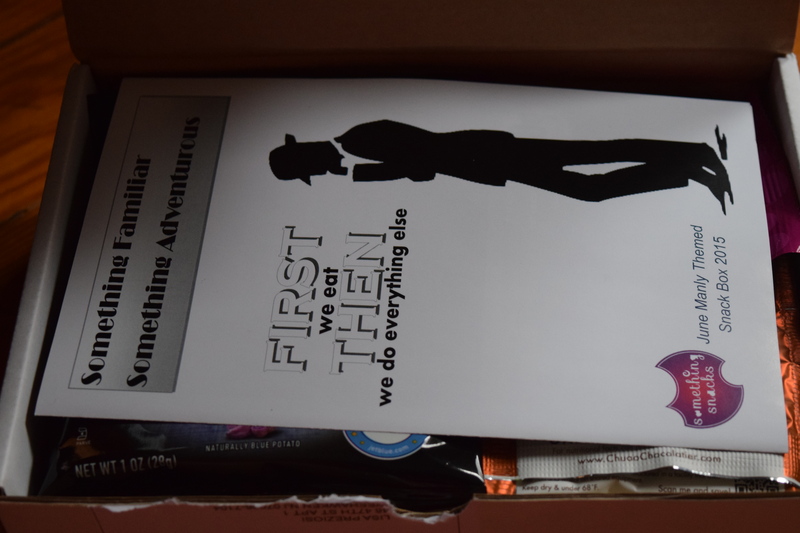 Inside, we have an insert with info on the contents and of course, the snacks! Description: “This month our featured snack by POP! Gourmet Popcorn in partnership with Huy Fong Foods is familiar to some but adventurous to most. 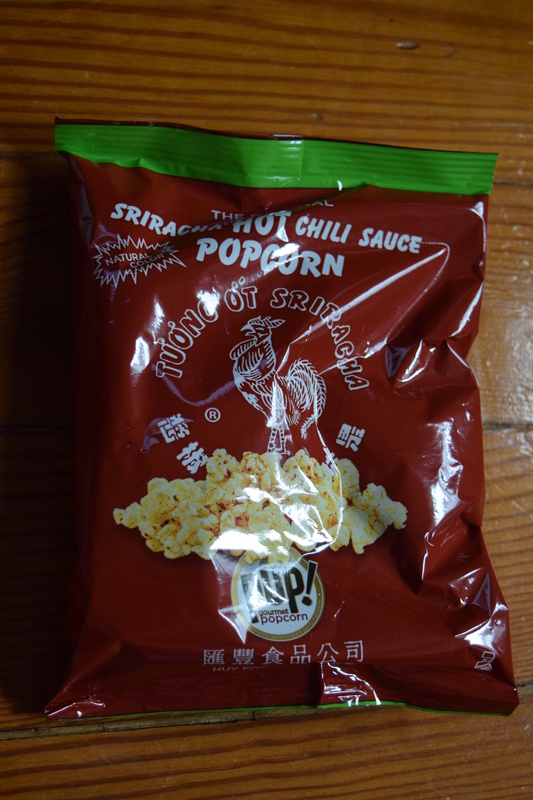 This snack consists of hot international flavors on crispy popcorn has a kick to it and will arouse your taste buds. Respect the Rooster!”. I’m not sure if this “aroused my taste buds” but it was a tasty, spicy popcorn and it definitely fit within the snack theme. 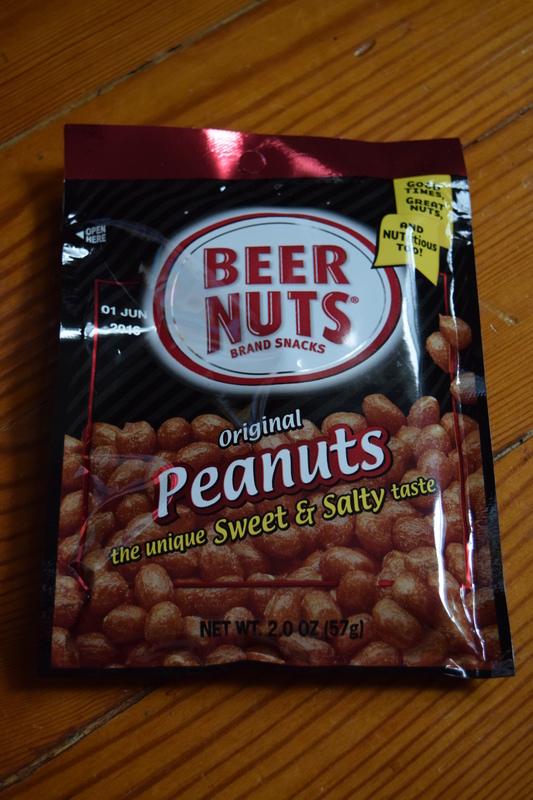 Do you have to eat beer nuts with beer? Is it a rule? I don’t really understand how they are different from regular nuts, but maybe it’s just that I’m not manly enough to get it. I passed this along to my boyfriend so I didn’t get a chance to try it myself, but he didn’t have any complaints so I’m calling it good. Description: “Enjoy this honey cultivated on the south side Hawai’i Island (The Big Island), from bees which pollenated flourishing macadamia nut trees. This is a great sweetener for your tea, or a yummy snack by itself for a sweet pick –me-up”. 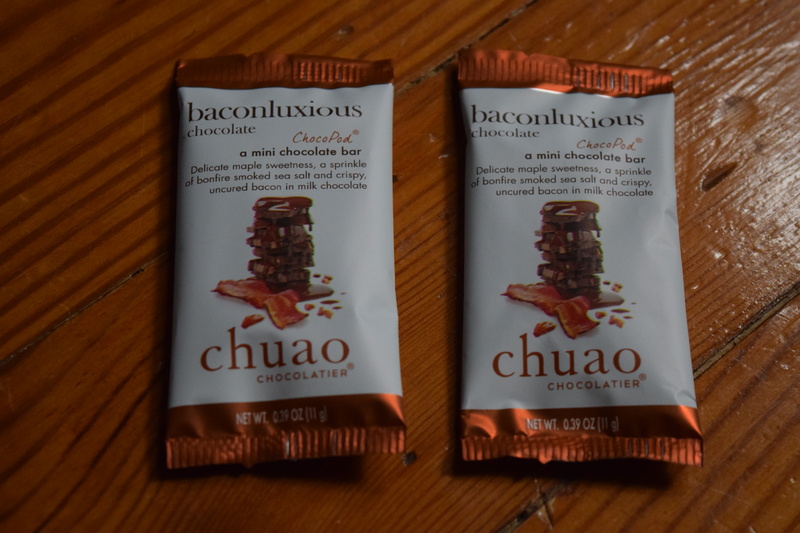 I know everyone wants to bacon all the things, and this may be blasphemy but I like my chocolate free from pig. I think something like smoky almonds would give the same sort of vibe but without the unnecessary pork. These weren’t terrible, and don’t get me wrong I love me some bacon, but I prefer it on a cheeseburger. 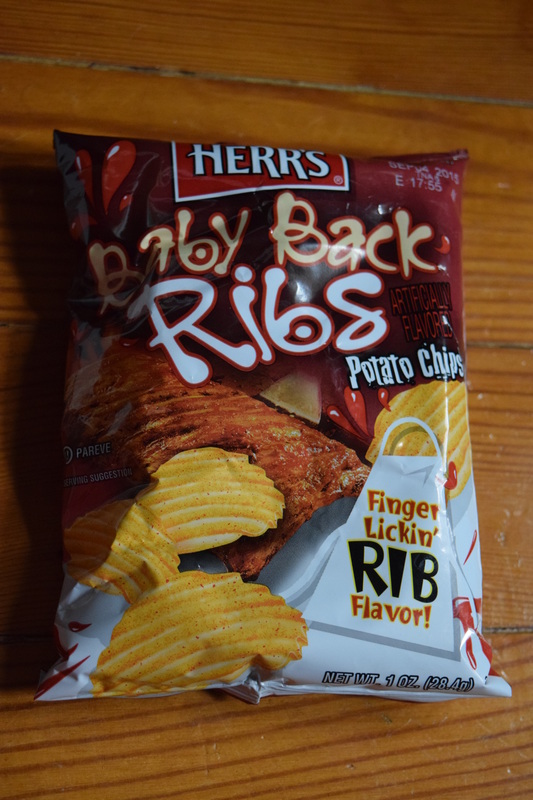 Ribs are one of my favorite foods and I’ve never met a chip that’s ever come remotely close to tasting like a rib and these are no different. They taste like any garden variety BBQ chip to me. They aren’t bad, but they set me up with the whole rib thing and just didn’t deliver. These are not familiar to my taste buds. I’m not a jerky or dried meat person so this got handed off to my boyfriend. 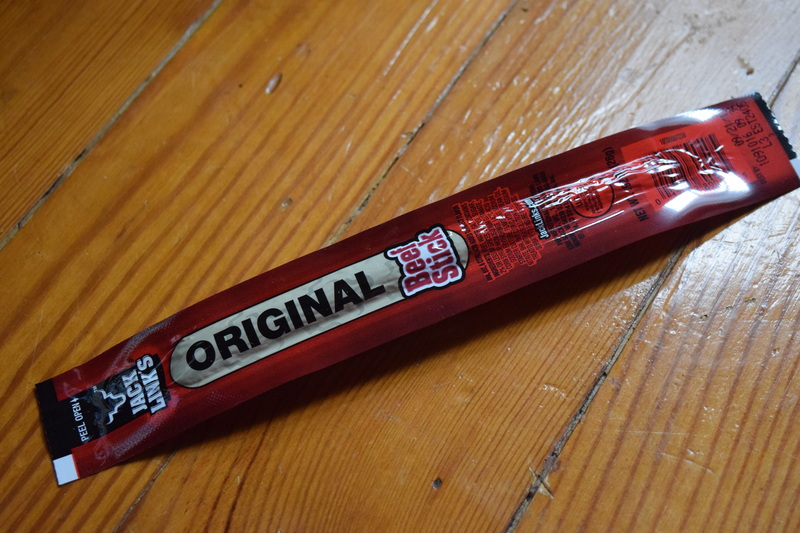 He did comment that this was like the cheapest type of jerky. 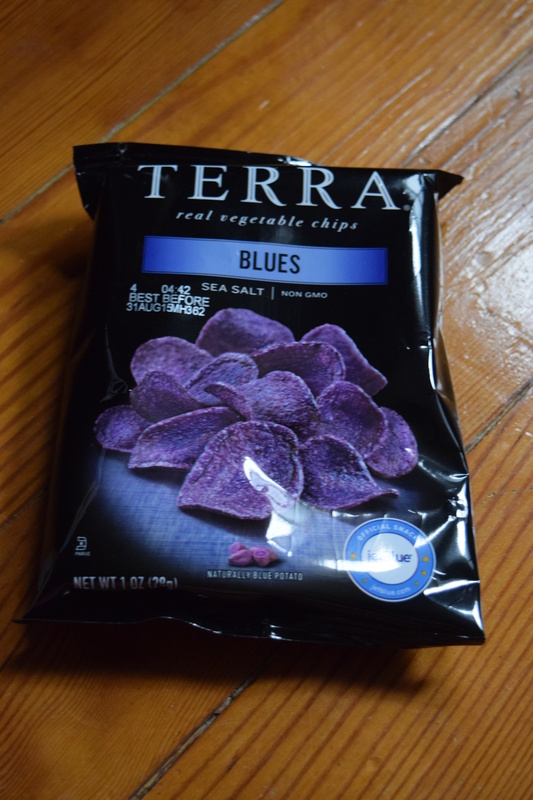 I love Terra chips and I snatched these up right away. They are tasty and the blue color makes them super great for fancifying your chips and dip at a party without actually doing any work. I really like the idea of a snack “theme” each month and even though I wasn’t thrilled with the idea that some foods are “manly” I thought the contents fit the concept that Something Snacks wanted to get across. What I appreciate most is the variety of snacks. This box had an excellent balance of sweet, salty and spicy items so the curation was definitely on point. My problem with this box is that the value only came out to $11.44 and the monthly cost to purchase this would be $13.00. Most of these snacks aren’t super unique or had to find so I think the value needs to be equal or slightly above what you’ve paid. That being said, that could easily be fixed by throwing in an extra pack of some items. Since this is the only box I’ve tried it’s possible that other months did a better job of value versus purchase price. There are discounts available for prepaying longer subscriptions and a coupon code. If you choose those options then the subscription becomes much more cost effective. 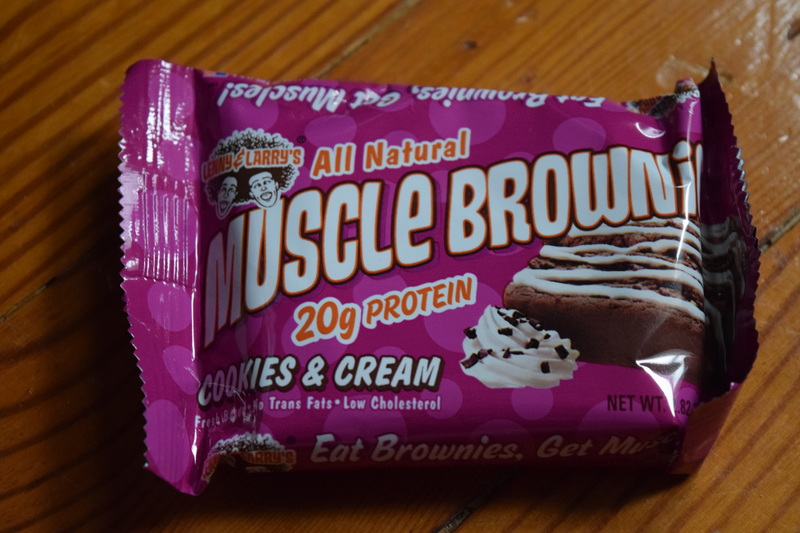 What snacks do you consider “manly” and conversely are there “womanly” snacks? Discounts available for prepaying 6 months or 1 year subscriptions. COUPON: Use code TRY3NOW for $3 OFF subscriptions! Previous article	← Higher Tea: Sneak Peek & Free Samples! Oh I could definitely see an 11 year old boy loving everything in it! I had no idea they grew the potatoes in Maine. I love Maine! I’ve spent a few vacations there. One was in a tiny town on Deer Isle.